Sustainability has many facets for an international company such as GROHE, energy-efficient production being one of them. Operating three manufacturing sites in Germany and three abroad, Grohe AG is committed to manufacturing its products as sustainably as possible while taking economic aspects into account as well. As part of this effort, GROHE improves all work sequences and production processes on an ongoing basis in order to meet all environmental, health and safety requirements at all times. Being a world-leading manufacturer of sanitary fittings, GROHE acts as a role model for the entire industry and brings a pro-active approach to today’s ecological, economic and social challenges. All GROHE production sites around the globe are subject to centrally issued organisational guidelines and procedures on environmental management as well as health and safety. Local compliance has a high priority and is verified through regular internal and external EHS (environmental, health, safety) audits. All central units and production sites in Europe have been certified to ISO 14001, the leading international standard for environmental management systems, already since 2003; the Thai factory in Klaeng followed suit in 2004. The company’s quality management system has been certified to ISO 9001 since 1992. In November 2011, all GROHE production sites in Germany, Portugal and Thailand were certified to OHSAS 18001:2007, the world’s leading standard for occupational health and safety management systems. On the manufacturing side, the environmental focus is on energy and resource efficiency, waste avoidance and high recycling rates, low water consumption and climate protection. Already back in 2007 GROHE started to compute its carbon footprint. This effort initially covered all production sites but was extended to the logistics processes in 2010; in 2011 GROHE started to calculate the carbon footprints of its worldwide distribution companies as well. 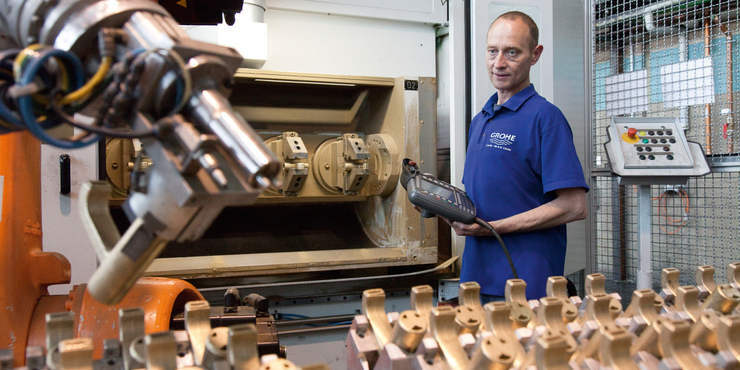 For many years the GROHE Group has successfully increased its recycling ratios. This is true, in particular, at the international manufacturing sites. 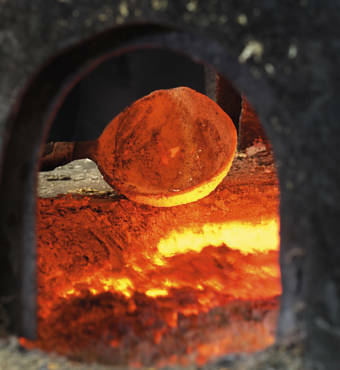 Scrap produced in the faucet casting processes is almost completely reused or melted down and recycled internally. Almost all scrap, shavings, sprues and risers can be melted down and recycled into the process immediately. Plastic parts which occur as waste in the casting process are usually broken down into granules and fed back into the same machine. The procurement units at GROHE place great importance on sustainability. Their efforts centre on the GROHE Supplier Code of Conduct as well as a variety of supplier rating and auditing schemes, backed up by compliance commitments to be signed by suppliers and service providers. These documents oblige suppliers to comply with GROHE standards on environmental protection as well as health and safety. Energy and resource efficiency are important features of GROHE products not only in daily use but also at the manufacturing stage. New processes and technologies adopted throughout the company have led to substantial reductions in resource usage. Investments in ecology frequently deliver economic benefits, too. This is evident, for example, at the GROHE plant in Hemer where annual gas consumption has been cut by approximately 20 percent following the installation of heat recuperation systems as well as a new degreasing unit. At the same time, annual electricity consumption has also been reduced by approximately 20 percent through the installation of an overall compressor control system as well as through the modernisation of the factory hall lighting system. 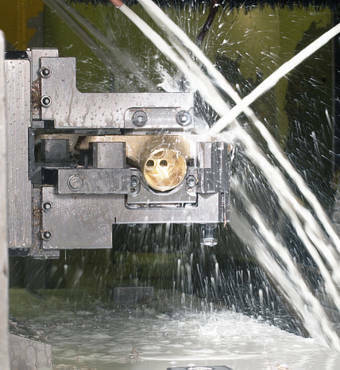 Die casting remains an essential part of faucet production and the energy required to melt the metals is an important environmental consideration. GROHE has substantially lowered the energy intensity of this process through effective waste heat recuperation. GROHE has also implemented several programmes aimed at reducing the brass content of faucets; as a result, the weight of a single-lever wash basin mixer has been slashed by 30 percent. Given that the GROHE universe revolves around water, stringent pollution control plays a highly important role at all company levels. Germany’s strict limits on water effluents and airborne pollutants are applied also at the international manufacturing sites. 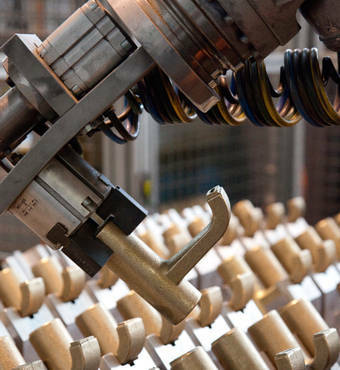 Modern and consistent monitoring technologies are used to rule out the risk of water pollution through cooling lubricants used in the manufacturing processes. At its Thai factory in Klaeng, the company has installed an aquatic plant-based water treatment facility which cleanses sewage water using micro-organisms populating the plants. The sewage cellar at the GROHE factory in Hemer has been comprehensively modernised as well. In addition, the company continues to undertake all measures required to minimise other environmental risks. All manufacturing sites have emergency plans in place and hold regular evacuation and fire drills. Employees are also trained on how to respond to the eventuality of a chemical spill. Sustainable production at GROHE is underpinned by the company’s commitment to protecting the environment and safeguarding employees’ health and safety.